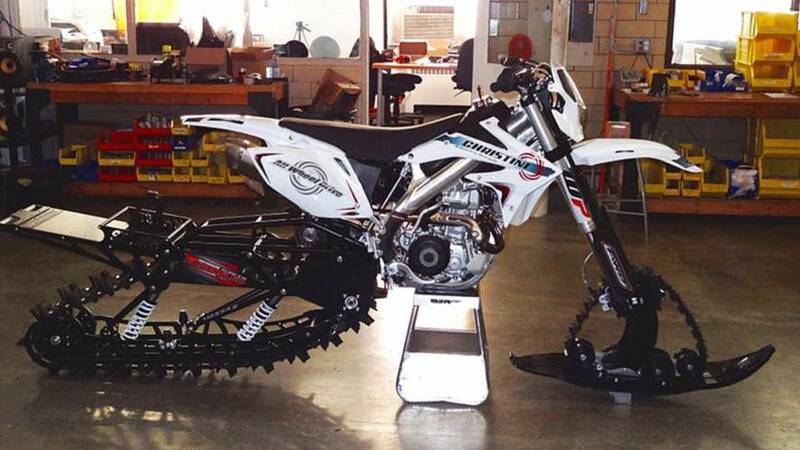 Christini motorcycles has just released an all new AWD snow bike they call the Snowtracker. It features a unique front hweel drive track system. Gearheads will remember the Christini two-wheel drive system for dirt bikes. 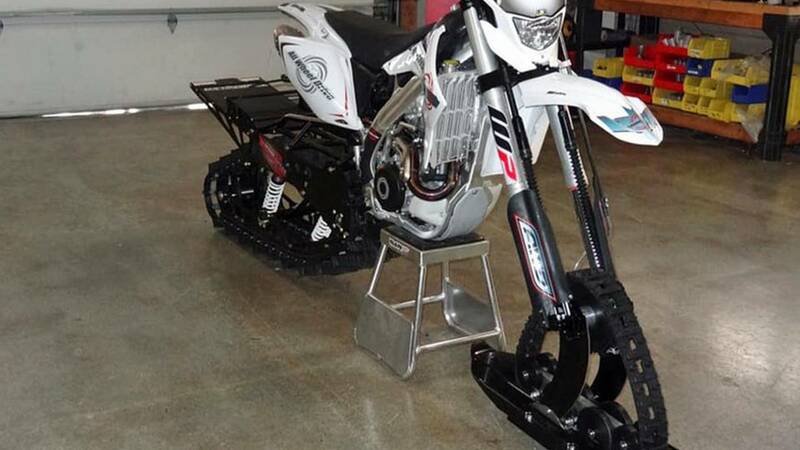 Now they’ve added a system for off-roaders who are compelled to play in the snow on something more agile than a snowmobile. While track kit system for rear wheels have been around for a long time, the Christini II-Track Snow Bike adds a powered track to the front end as well. The system is available on the company’s existing 450cc four-stroke or the 300cc Gas Gas two-stroke. The rear track, supplied by a third party, is driven by a rear pully behind the swingarm pivot; the front tread is powered by a shaft drive. The front track extends rides below a slotted ski, and features a height adjustment for riding in soft snow, packed snow, mud or sand. The front track adds acceleration, climbing ability and braking on deceleration.